For the past four years, the greater Seattle area has been celebrating the beautiful culture of the people who lived off of this land since time immemorial. 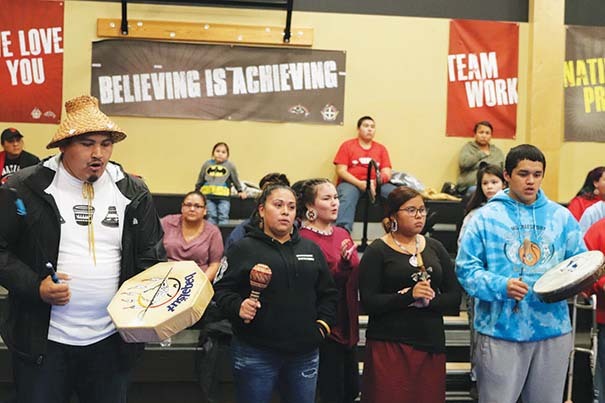 Every second Monday in Octber, communities throughout western Washington host a variety of events to celebrate Indigenous Peoples’ Day, which officially replaced Columbus Day back in 2014. Indigenous Peoples’ Day aims to provide Washingtonians with accurate information about the series of events that occurred after Columbus reached our lands in 1492. Many communities nationwide have joined Seattle and now celebrate Indigenous culture every year. 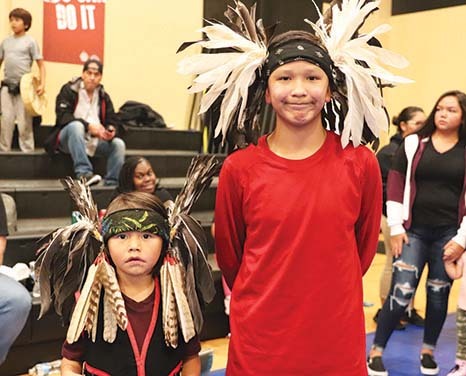 To start off the second week of Tulalip Unity Month, #KindnessWeek, Youth Services hosted a cultural gathering at the Greg Williams Court on the evening of Indigenous Peoples Day. The gym was packed and the bleachers were filled as people waited in anticipation for the festivities to begin. The youth proudly led Tulalip to the floor with loud drumbeats and booming chants in a song paying respect to the four directions. 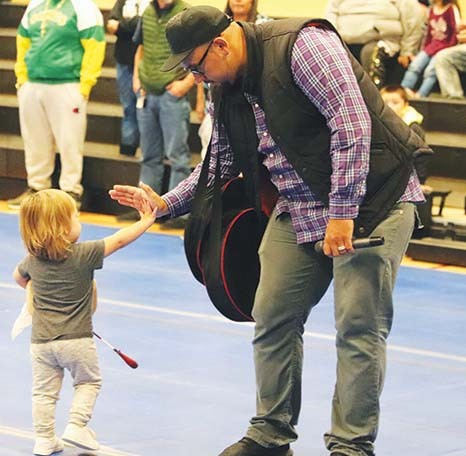 It didn’t take long for the spectators to become participants as the bleachers emptied and people joined Tulalip on the floor for a large coastal jam. 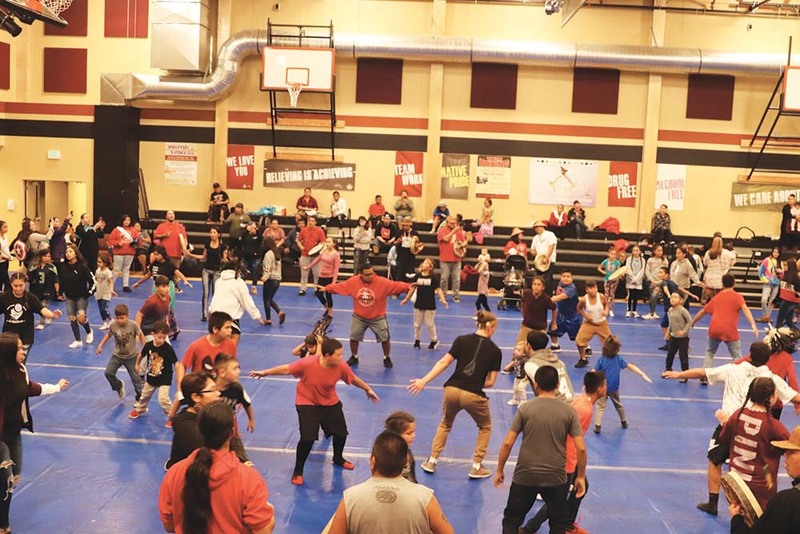 Native families created a circle around the gym and took turns performing their traditional songs and dances. 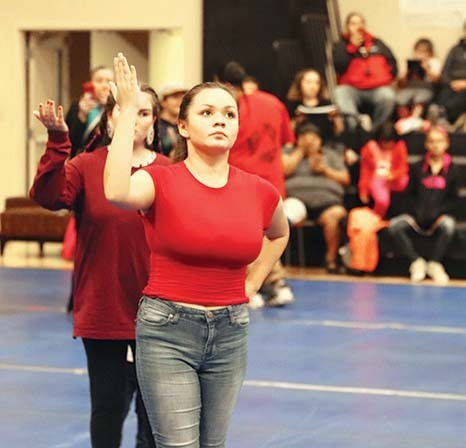 A few songs were known to all of the coastal families in which more dancers hit the floor and the words were sung at a much louder volume by the entire crowd, causing that goosebump sensation during a beautiful moment for the culture. The youth ruled the night. Kids of all ages, infants to teens, sang their hearts out and danced all evening. 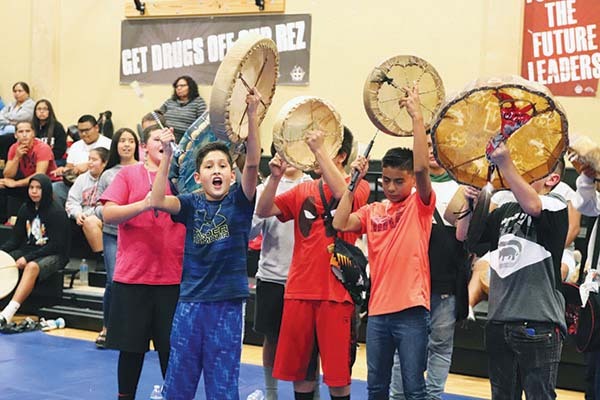 After performing a song, the Tulalip youth put down their drums and rattles and joined the dancers on the floor until it was their turn to sing again, repeating this cycle for over two hours. 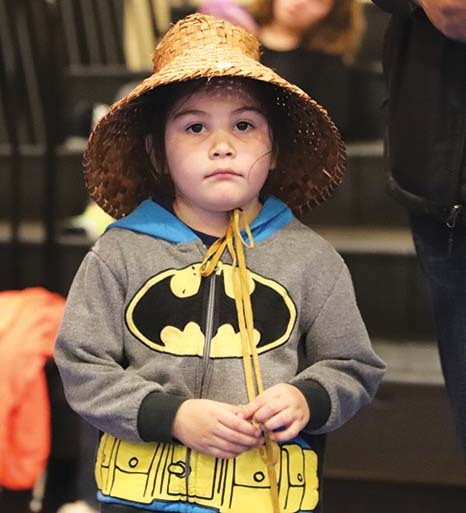 Tulalip Youth Services will continue hosting a variety of activities throughout October for Unity Month including many fun autumn themed events that bring attention to issues such as bullying, domestic violence and substance abuse. For more information, please visit the Tulalip Youth Services Facebook page. This entry was posted in News, Pow Wows, Tulalip News and tagged Coastal Jam, Indigenous Peoples Day, Tulaip Tribes, Tulalip by Kim Kalliber. Bookmark the permalink.